An MMA fighter and some other public figures call the viral video of the sobbing boy pleading to stop bullying a scam. Find out why. A heartbreaking video of a middle school student named Keaton Jones has spread like wildfire on social media. The young boy was in tears as he talked about his tormenting experience as a bully victim in school. While the video was initially taken as an eye-opening message on one of the biggest issues faced by many kids today, it has now been shrouded in scandal with several people claiming Keaton is simply used as a tool for a big scam. 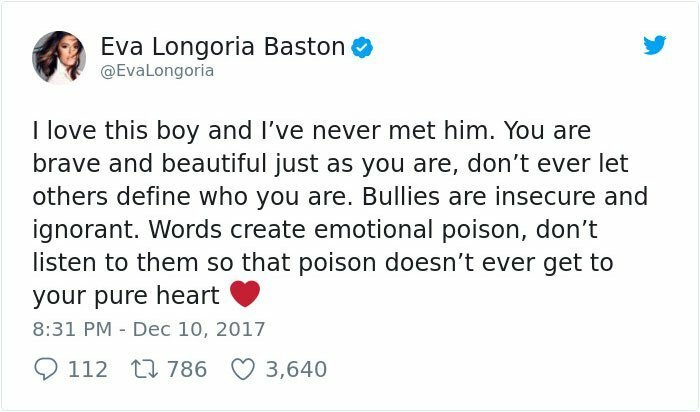 A couple of days ago, the world came to know the boy who pleaded bullies to stop criticizing him through a video that his mother, Kimberly, posted on Facebook. 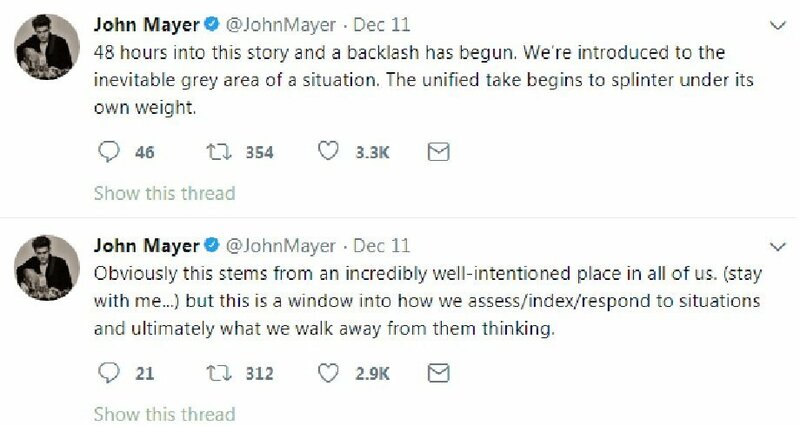 He asked, while sobbing, “Just out of curiosity, why do they bully?” He continued to share his disappointment asking, “What’s the point of it? 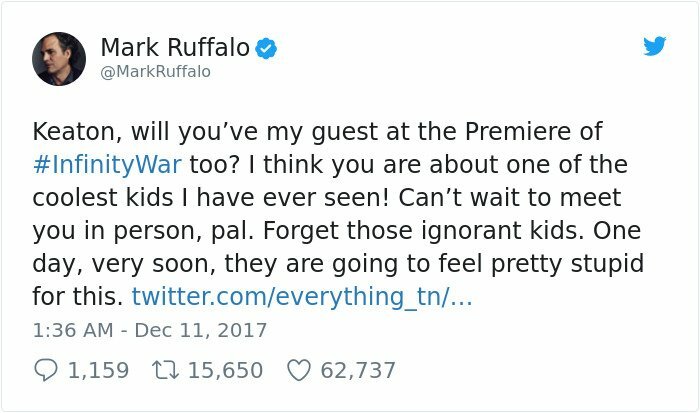 Why do you find joy in taking innocent people and finding a way to be mean to them? It’s not okay”. 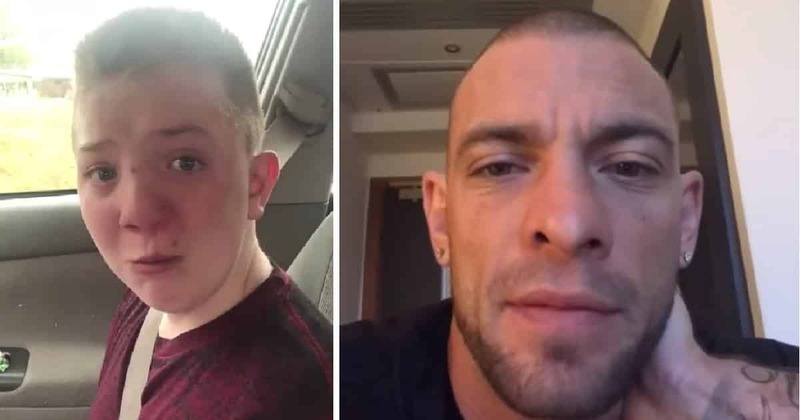 A video of Keaton Jones pleading for bullies to stop harassing him has gone viral on Facebook. 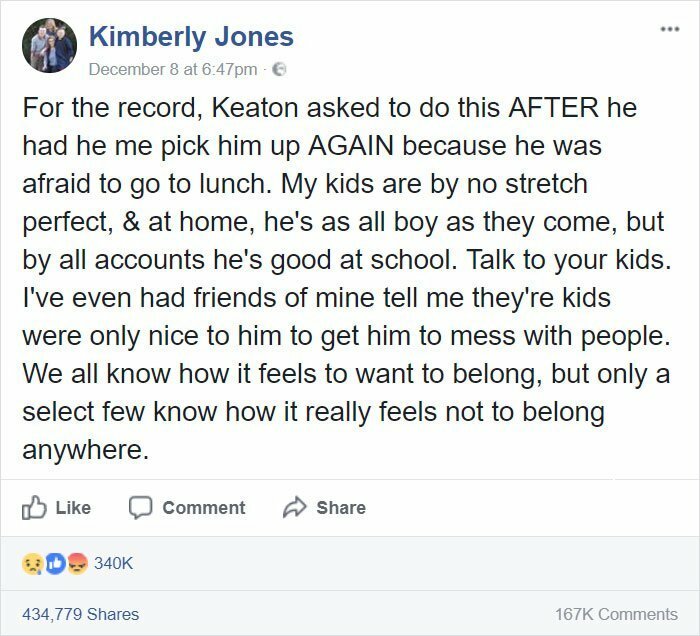 According to Kimberly, the video was recorded when she picked up Keaton to avoid bullies during lunchtime. 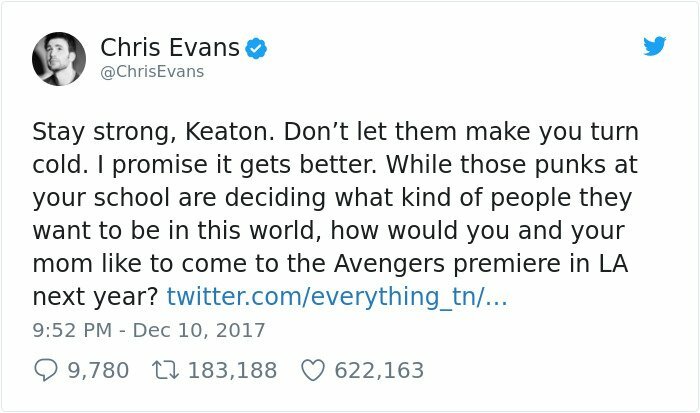 It was then posted on social media where over 20 million users listened to Keaton’s sentiments. 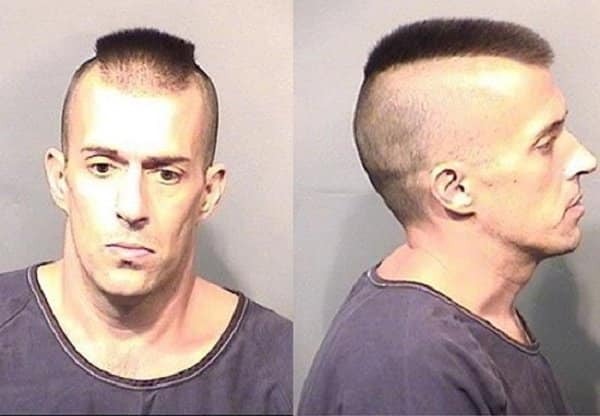 It didn’t take long until the mother and son duo received a massive backlash. As nothing can be kept hidden on social media, a couple of netizens found posts by Kimberly Jones that entirely disputed their concerns on bullying. Some net detectives uncovered posts of Kimberly that are apparently racist. 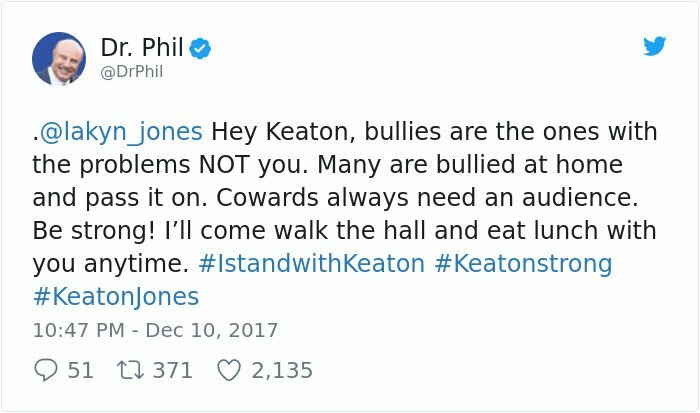 This has sparked countless speculations including a rumor that Keaton was being bullied because he called other kids in school racial slurs. So here is the video of Keaton Jones sending a message to his bullies. 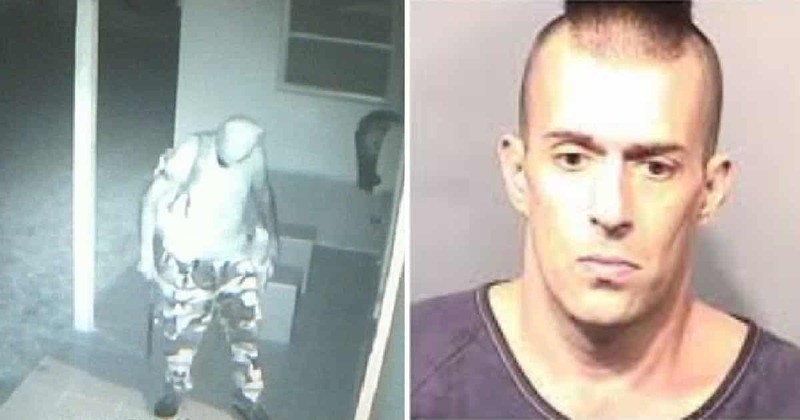 And here is the video of Joe Schilling saying Kimberly Jones is just using her son to stage a scam. Here is another video that surfaced on social media criticizing Keaton’s mother. But amid the controversies, some were thankful that the video raised awareness on such a serious social issue. 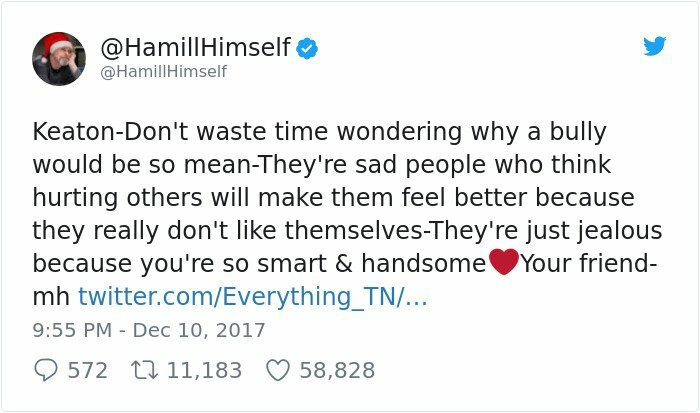 Millions of parents and kids watch his videos. 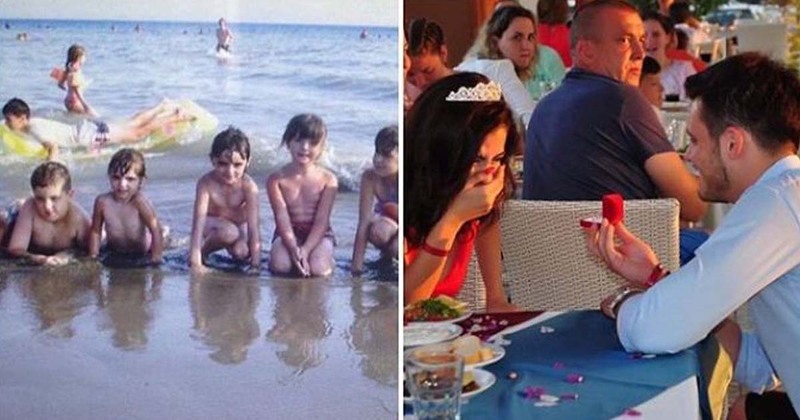 Today's typical six-year-old would be all about playing with various toys and gadgets. 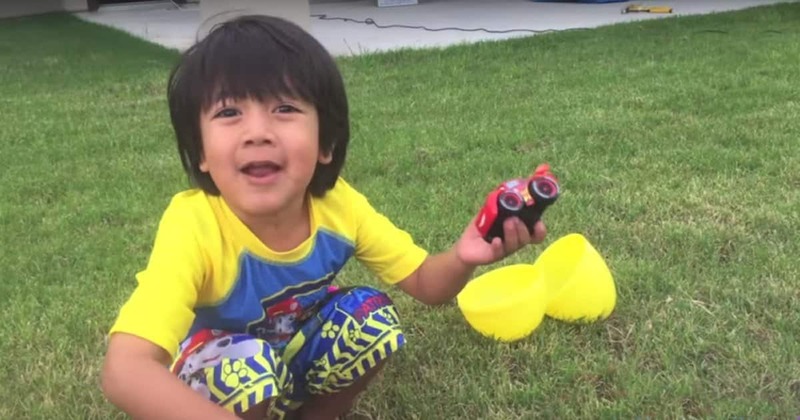 Six-year-old Ryan of YouTube's Ryan ToysReview, a family-run YouTube channel, is the same - except that he makes a crazy ton of money doing so. The young online host, YouTube star, and now multi-millionaire generated around $11 million in pretax income in 2017, which is probably the highest amount any six-year-old in history has ever made. Ryan places 8th, along with YouTube comedy channel Smosh, in Forbes' annual list of highest-earning YouTube celebrities. 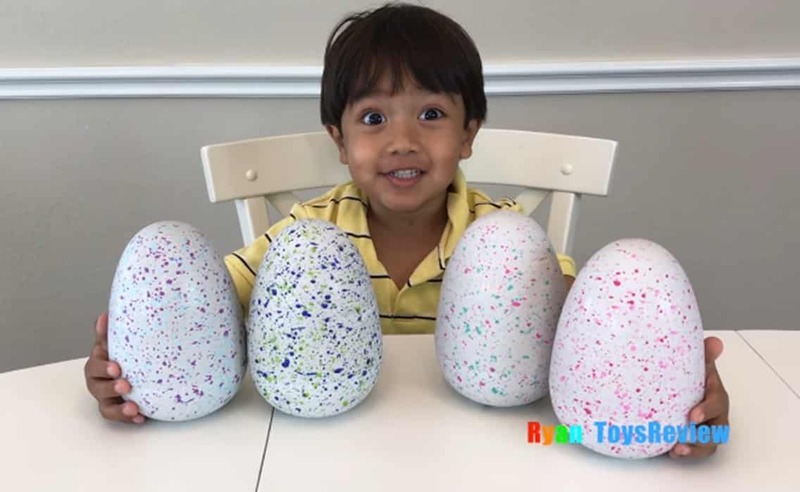 Ryan ToysReview started in March 2015.